Just prior to 0400 a simple announcement rang out over a silent ship, “core is on deck”. 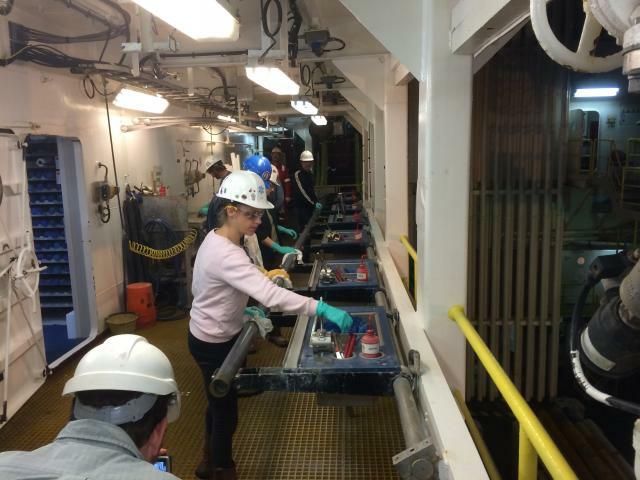 That marked the start of sample recovery from hole U1473 on Atlantis Bank. The handful of scientists who were awake at the time ran up to the catwalk leading to the drilling derrick to watch the arrival. 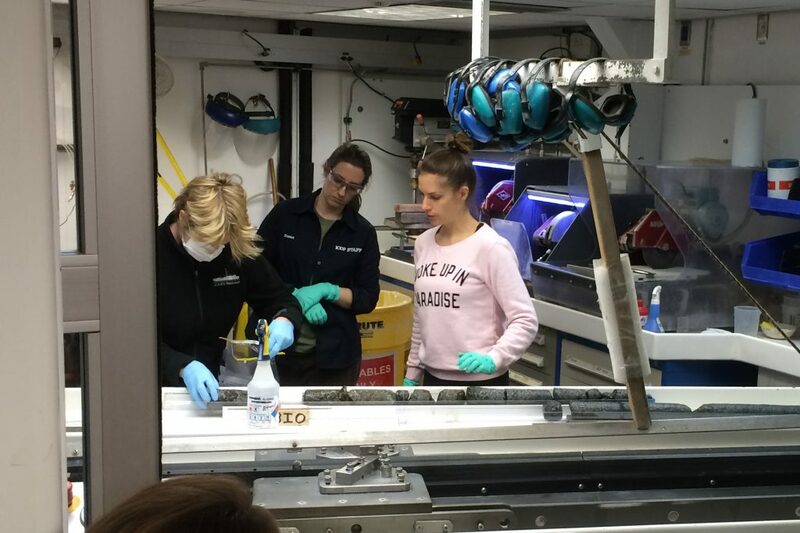 They have been waiting for weeks to get their hands on these rocks; however, it’s a frustrated audience as only IODP technicians are allowed to initially touch the core. This is for two reasons, to reduce human contact before a microbiology sample is taken and to minimize the chance of a piece of rock being flipped 180º or rearranged before it is marked and photographed. 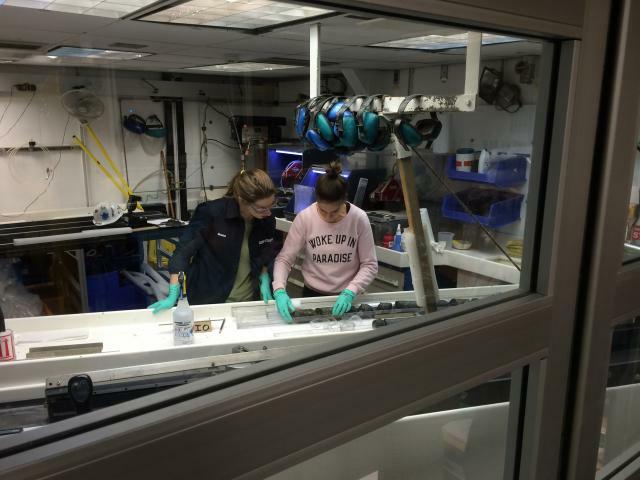 The pieces of rock arrive in 10 meter plastic tubes called core liners; these are cut into more manageable meter long segments before being carried inside. At this point one of our microbiologists selects a segment to be isolated and studied (more on this in a later post). This can be tough for the geologists onboard as they will never see this segment in one piece again so negotiations often ensue to prevent particularly interesting or anomalous part from being taken. This morning the process was conducted in uncharacteristic silence, as if everyone present was in awe of the first segment of core. After the microbiology sample had been removed and the technicians began marking the orientation of the other pieces, this tension was lifted as the co-chief scientists shook hands and congratulated each other on the first of hopefully many excellent recoveries.